I recently had a teacher inspire me to take the unit circle (converting back and forth between degrees and radians) onto a double Clothesline. 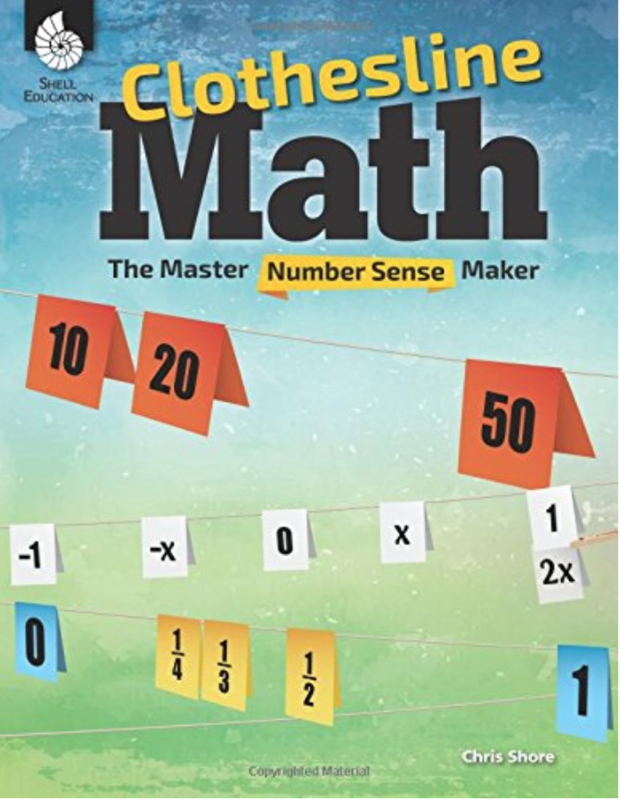 Christina, and all other Clothesline Math enthusiasts, the tents for the Unit Circle are now available on our Functions Page. I did this myself in my Algebra 2 class during our unit on periodic functions (though I placed degrees on the top line). We started by first calculating the circumference of the unit circle (2Π). After I equated 2Π radians to 360 degrees on the two Clotheslines, I asked for an equivalent radian value for 180 degrees. Easy. Too easy. So I randomly chose a student to pick a group to start our Group Chain. The first group chosen had to chose and place the appropriate radian measure for any “Multiples of 90 degrees” that have not been placed, yet. We tied both Π/2 and 3Π/2 back to their place on the unit circle to how 90 degrees partitions the circle into quarters. Since one-fourth of two pi is Π/2, every 90° interval is equivalent to another half pi. The next group was responsible for multiples of 45°, the next multiples of 60°, and then finally multiples of 30°, until both lines were complete with common benchmark measures. Many students pointed out before I could that each multiple “counted up by the same fraction,” either by halves, fourths, thirds or sixths (SMP 8). Another student also pointed out that all the fractional coefficients between Π and 2Π where greater than but less than 2 (SMP 7).